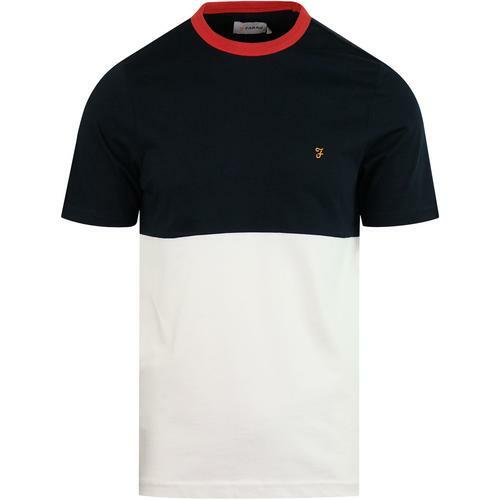 Merc 'Haywood' Men's Retro 1990s archive print ringer T-shirt with stylish stripe sleeve detail. 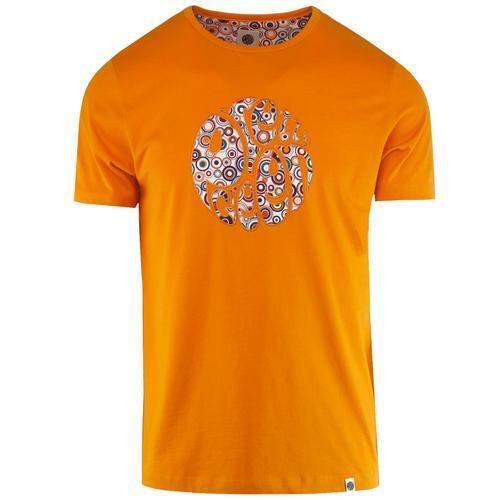 As part of their 50th Birthday celebrations, Merc have raided their archives to revive some Retro sports casuals classics, of which this fab Mod 'Haywood' T-shirt is one. Originally launched in the 1990s Britpop heyday, this stylish Indie ringer tee features a 70s collegiate and Varsity inspired signature print that kind of conjures up images of Johan Cruyff playing for the LA Aztecs in the North American Soccer League! The iconic Merc Est. 1967 signature catches the eye and is perfectly complimented by the navy Retro ringer trims and contrast red and navy striped sleeves. 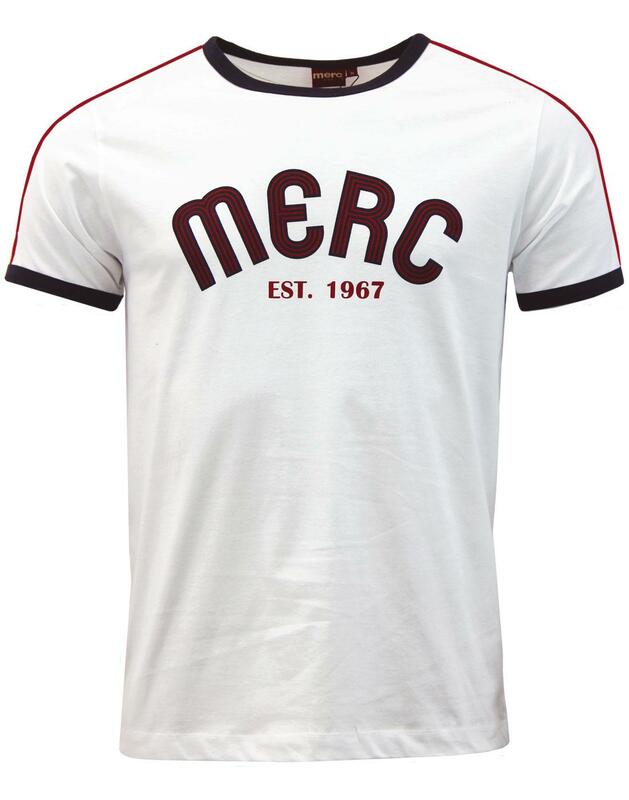 A cool collectors piece, the Merc 'Haywood' T-shirt is Vintage classic reborn for the contemporary era! 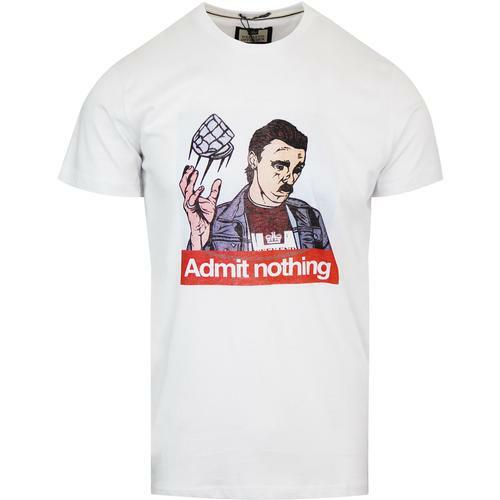 - Merc 'Haywood' men's retro 90s ringer t-shirt in white. - Contrast navy ringer trims. - Red and navy stripes to sleeves. 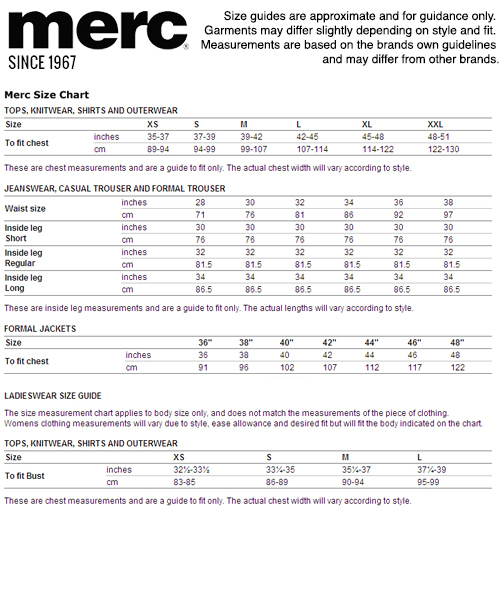 - Vintage Merc sports signature to chest with Est. 1967 tagline. - Soft jersey cotton tee. - Part of a sports themed archive 1990s collection that forms Merc's 50th anniversary range. 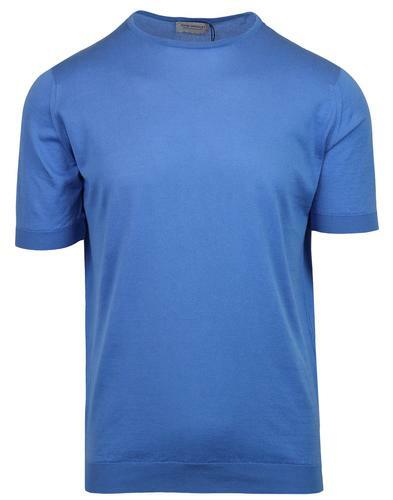 - SKU: 1717215S Haywood Merc Signature Ringer Tee.